Next to poker, Blackjack is perhaps the most popular card game among gamblers, due to its quick outcomes and hugely simple premise: get as close to 21 while beating the dealer. Traditionally, Blackjack is also the game with the smallest house edge and, if following simple strategies, actually gives you a very slight positive house edge. While dice is the favored Bitcoin game, more places are also offering Blackjack games, recognizing the demand from traditional casino gamblers who want some variety to the hi/lo options of dice. Crypto-Games offers a highly playable Blackjack game with a small 1.253% edge but if you want to play quick hands, it may frustrate you. Also, you get less than the industry standard 1.5x payout on winning an outright Blackjack, so that is one additional downside. 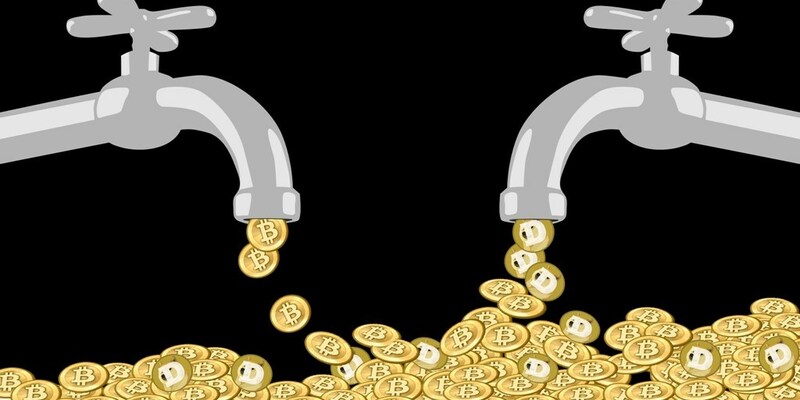 However, its generous faucet (starting at 500 satoshi and going as high as 20,500 satoshi at Level 30 onwards) that gives out free coins in BTC and 8 other cryptocurrencies makes all the difference in trying to win significant amounts. They have frequent competitions that also involve hitting Blackjack and winning small prizes so that’s always something to look out for. The faucet at FortuneJack isn’t very big at 523 satoshi (though you can also reset its own Playmoney). However, at today’s Bitcoin price, that’s actually $0.01 so you could theoretically play your way to win a dollar if you’re really lucky at Blackjack! The game selection for Blackjack at FortuneJack is pretty solid: there are about 20 different types of Blackjack variations, from classic to Multi-Hand, and even 2 Live Dealer Blackjack games (though wager minimum are much higher than the faucet claim). They all have oustanding design and the Live Dealers come out clearly, making this a sure forerunner for the best Blackjack site with a faucet. Bitcoinrush is another simple Blackjack fare is available in the form of a HTML5 game which is otherwise playable and quite transparent with its rules (it shuffles a 6-deck table after every round). Due to its limited nature, this game is not for the fast and furious! But, considering the easily winnable 10,000 daily satoshi from its Faucetbot, which you can collect every day with no limit, you can build a sizeable bankroll of 0.001 BTC in ten days to play some serious Blackjack. One of the newcomers in Bitcoin casinos, Polish-operated Bitgame opened its doors in January 2017, offering a very home-made, customized feel to sportsbook betting and casino games. Its Blackjack game was among its first features games and you can start playing immediately after you claim 700 satoshi from their faucet, seeing that the minimum wager is 100 satoshi. It’s also one of the more transparent games, revealing that it uses 8 decks in the shuffle, with expected player returns of 99.63%. The faucet can be claimed every 3 hours once your balance falls to zero. As its name suggests, there’s a free faucet with no time limit that you can claim 2,400 times a day, making it virtually limitless. In fact, this site doesn’t allow deposits so you have to claim or complete offers to get satoshi to play. Play enough and you can claim daily bonuses to buy levels that’ll increase your faucet claims. The Blackjack game is simple in graphic and play but pays out 4 times your wager on Blackjack so is quite a worthwhile game to play in the long run, almost guaranteeing that you’ll have a positive return if you play hundreds of games.